Choosing Moving Company Sunrise will help you get rid of your moving stress by sending you a team of professional movers to assist you. Our local moving company has the latest machines and tools to make every move as fast and accurate as possible. The employees at our local moving company have been thoroughly trained to move any person to any location. 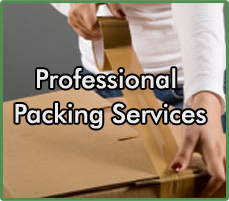 Local movers have the knowledge to properly pack and distribute your items in a safe and secure manner. Having your items get lost, damaged, or delayed are some of the outcomes that can be at risk if you choose the wrong moving company. Our local moving services are continuously improving because our goal is to fully satisfy our moving clients. Some moving companies relocate their clients with no care and will do the bare minimum. Some local moving companies will just transferred your items from door step to door step, which can make matters worse. They will leave your priceless items in compressed boxes without informing you the location of your specific items, which will make your move even more complicated and time consuming. Our local movers have great organizational skills and have adapted coordinated structure to move your home or office with specific colors for each designated room. Local Moving Company Sunrise does this in order to give our customers the option of unpacking their items themselves by making their unpacking process with extreme ease. Don't put your safety at risk and get hurt during your moving process, just because you can't afford a high priced moving company. Our local moving company has made moving service packages to be customized to our customers needs, because we believe that prices and rates should not be an issue or constraint.